As of April 14th, 2017 - this location is officially open to the public. 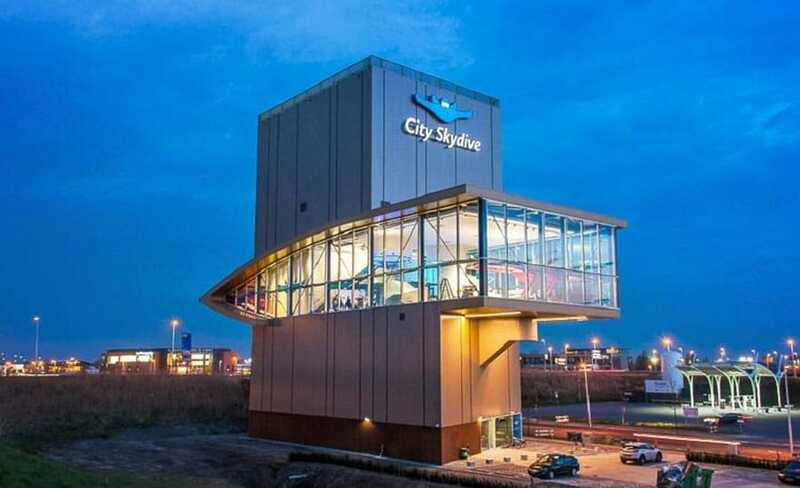 City Skydive (formerly U-Fly) features two 13.5 foot diameter wind tunnels in a single facility. This design is similar to Airborne San Diego in San Diego, California. The two chamber configuration allows for some exciting possibilities for shows and competitions. Browse all Tunnels in Netherlands or expand your search worldwide. Average rating of 5 from 4 review(s). Great wind, lovely staff and a gorgeous building! 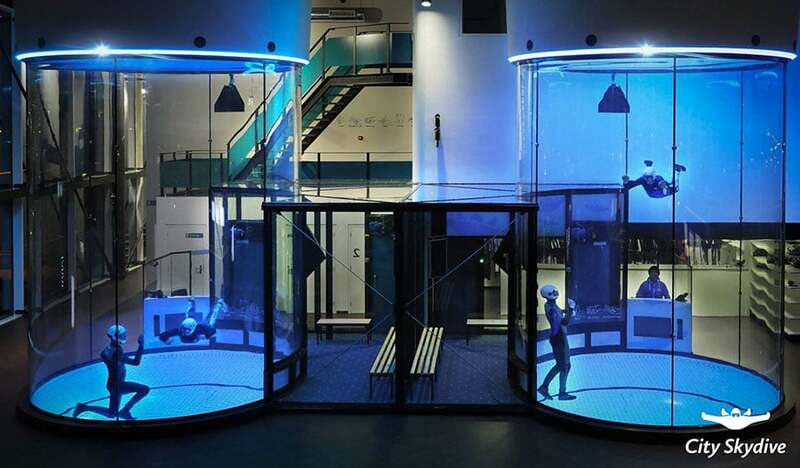 My first experience in a wind tunnel. Staff is very professional and helpful. Our wonderful instructor Patrik quickly adapted to the abilities of different newbies. Some of us flew really high too. :D What an amazing experience that I shall definitely repeat. Highly recommended skydive facility. Tunnels are fast and smooth. Staff friendly. Cold beer served on tap. Beautiful location and views.